Are you looking to advertise your business in an affordable, trusted advertising publication, with guaranteed GPS letterbox distribution? If so, you may be interested in advertising your business in our publications called Local Ads from as little as £20.00 + vat per month? We currently have 8 editions of Local Ads which are distributed every month to key areas of Leicestershire, giving you a flexible way of targeting different areas in a very cost effective way. We deliver over 80,000 copies EVERY month to homes in Leicestershire, using the latest GPS tracking technology to ensure 100% guaranteed distribution, giving the customer 100% peace of mind. Our publications are colour throughout, A5, and more importantly all of our circulation figures quoted are the actual print run of each edition, not inflated "readership" figures as used by other publishers. Since the first edition 9 years ago, our aim was to offer great value advertising at a cost that makes it affordable to all sizes of business, no matter how small. Over 80% of our business is from repeat customers, which is testament to the service and value we offer. Some have even been with us from edition 1! If you would like to take advantage of our great service OR use our price match offer then please contact us today. 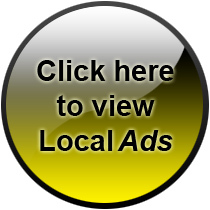 Targeted, local advertising at an affordable cost, whatever your budget.